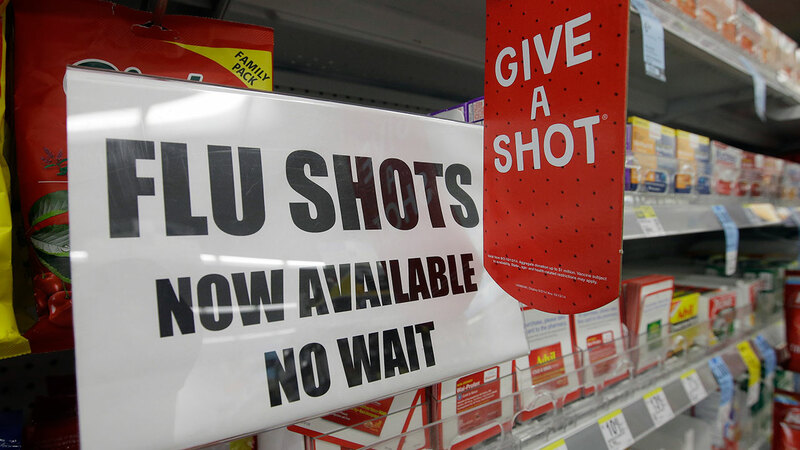 HOUSTON (KTRK) -- It's time to start thinking flu season. Doctors across the nation are getting ready but the CDC advisory committee has recently made a big recommendation that will affect many of you who dread "the needle". "Okay Miss Mia you're getting your flu vaccine okay," said a nurse as she prepared the needle. It can be painful to some, but moms like Samira Bush never take any chances especially when it involves their children. "(I do it) just to protect them," said Bush. "Make sure they're safe from all the viruses out there." "The flu is a super common disease in the winter and it can cause really severe illness including needing to be in the intensive care unit, respiratory failure and it can cause death," said Dr. Michael Chang, Pediatric Infectious Disease Specialist with Children's Memorial Hermann Hospital/UTHealth. Although some people fear the needle and go for the nasal flu spray experts, instead, say they may not have a choice this flu season. 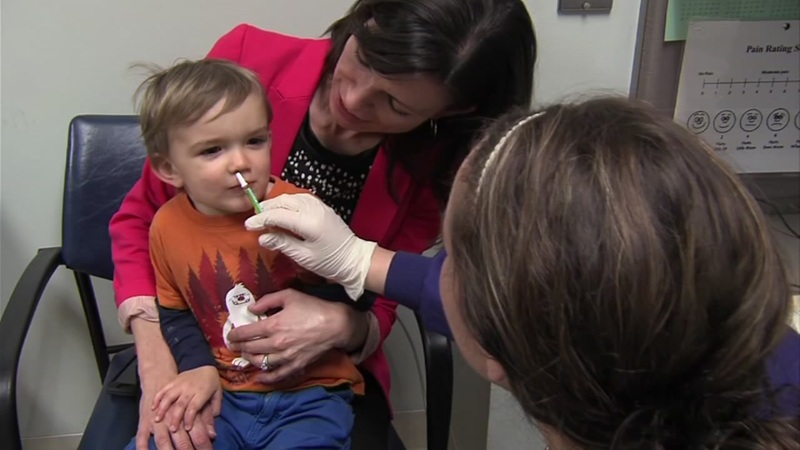 "For some reason over the last couple of years (the nasal vaccine) is just not working as well and we don't know why yet," Dr. Chang said. In June, the Centers for Disease Control's advisory committee voted the nasal flu vaccine should not be used for the 2016-2017 flu season. Most insurance providers will not be covering it. "It is unfortunate that we lost this particular mode of delivery this year," Chang said. Eyewitness News called some of the big insurance providers and were told they will be following the CDC's recommendation. Doctors said either way the shot has always proved to be the most effective. "We've had patients, parents come in and say oh the flu mist isn't available this year, okay, well I guess we're just going to get the vaccine," said Dr. Krystal Batchelor from Memorial Hermann Medical Group. If you think a needle will keep you from getting protected altogether, don't fear it they're never nearly as big as many think. "They're all very small," said Dr. Batchelor. "I tell (my kids) it won't hurt but it will be over in thirty seconds and you'll be fine," said Bush. The flu season typically starts in October, according to doctors, they advise to get the flu shot now.